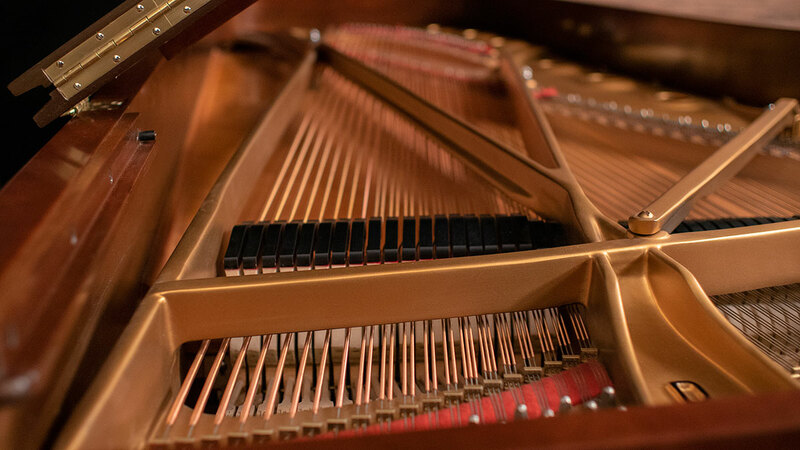 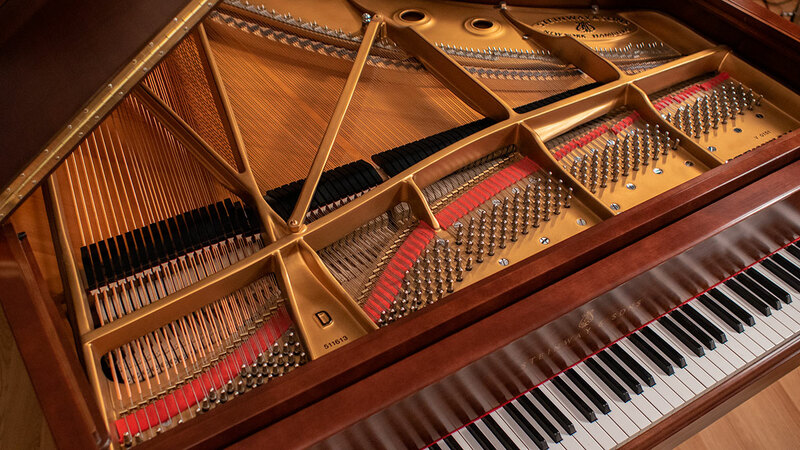 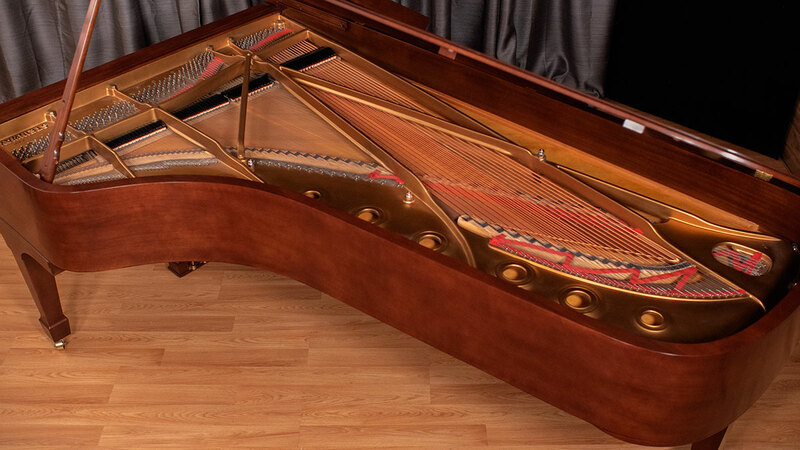 This is one of the nicest concert grands we’ve ever had in the history of Living Pianos. 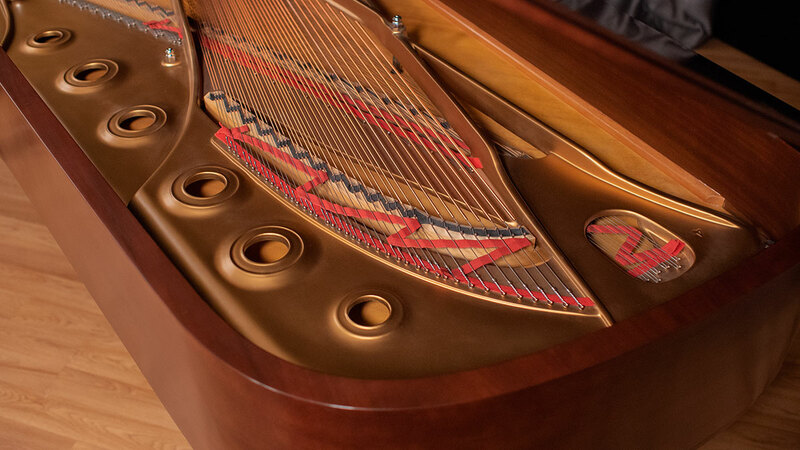 The craftsmanship of this piano is spectacular! 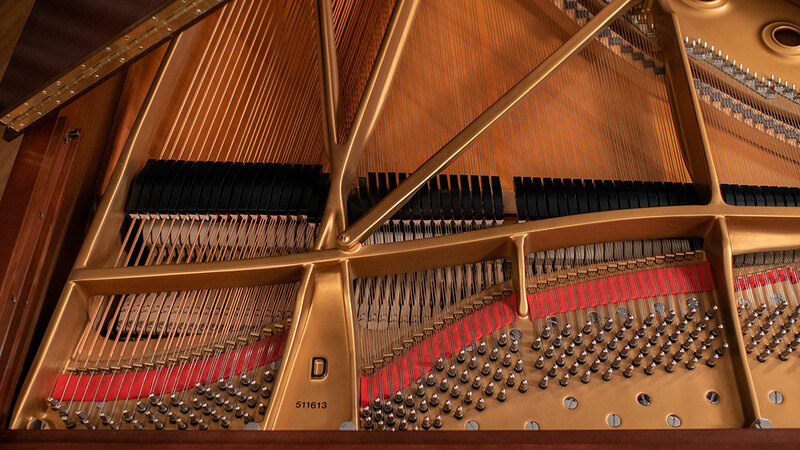 The keyframe is the highest quality German made Kluge. 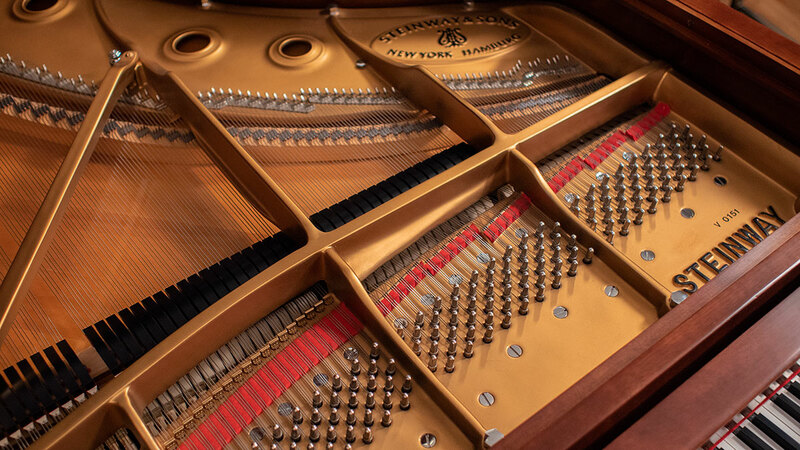 The action has all German Renner parts as found in Hamburg Steinway, with New York Steinway hammers. 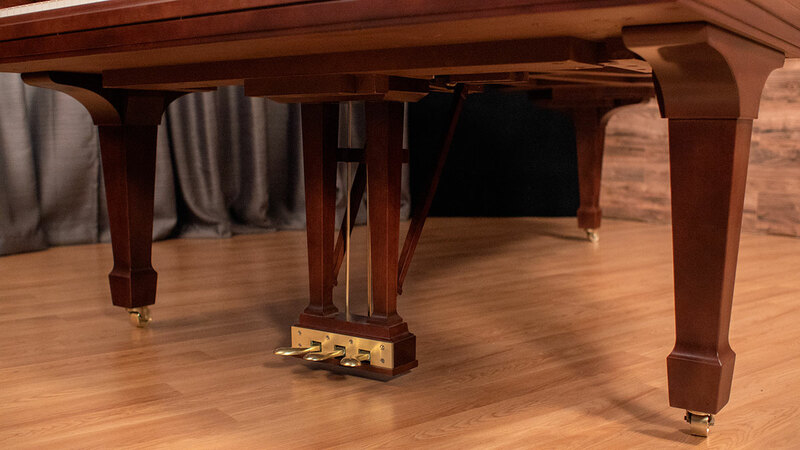 The keytops are extraordinarily rare one piece (not plastic) keytops which aren’t available on pianos anymore. 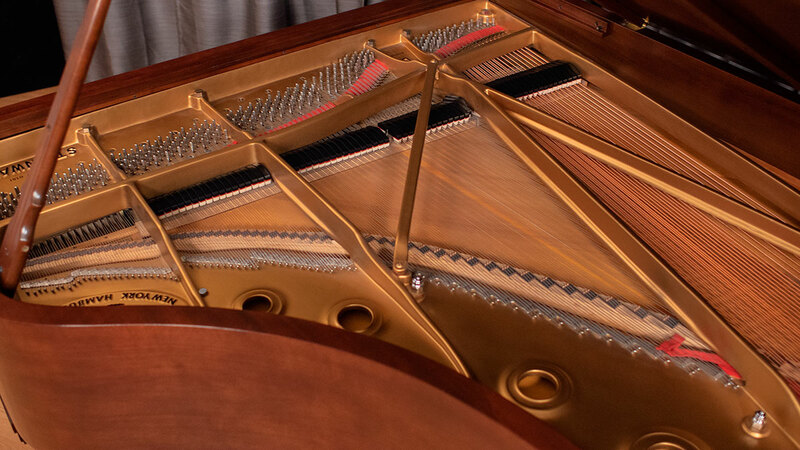 More than that, most pianos with real, organic keytops are two piece where you see the line between the two pieces. 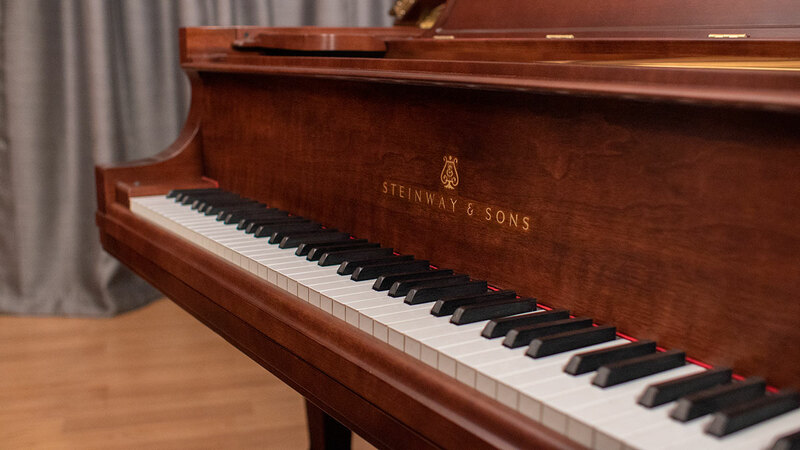 These keytops are immaculate as well. 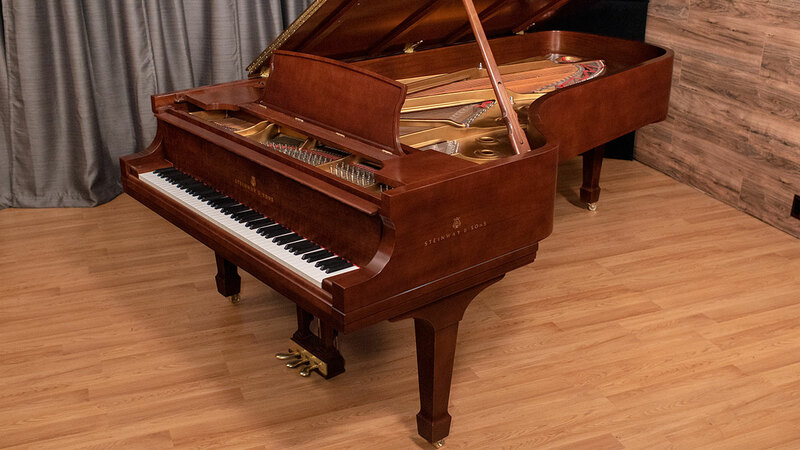 The finish is in beautiful condition revealing the gorgeous wood grain and rich tones. 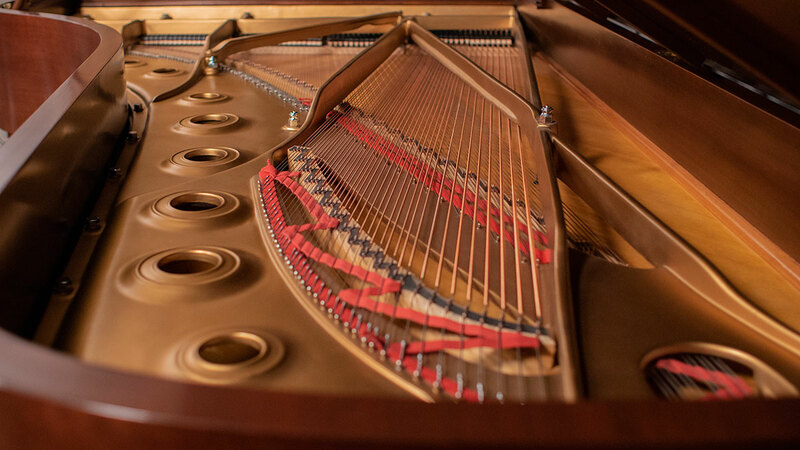 The piano has been voiced and regulated for top concert-level performance. 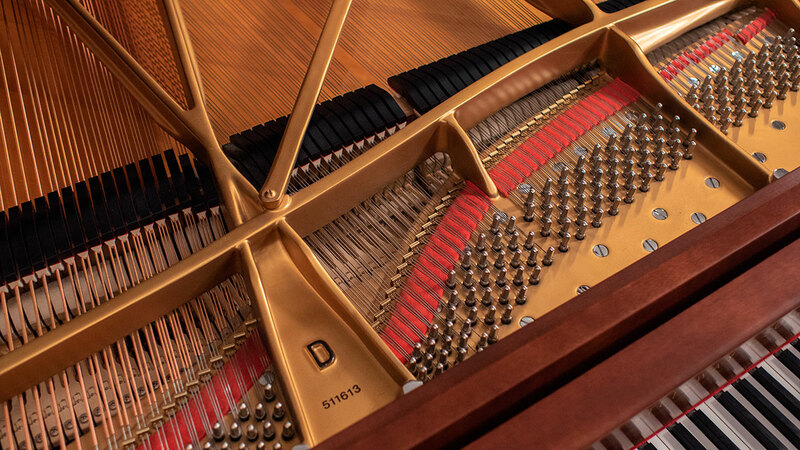 The action is fast and light while the tone is powerful and sonoric in all registers. 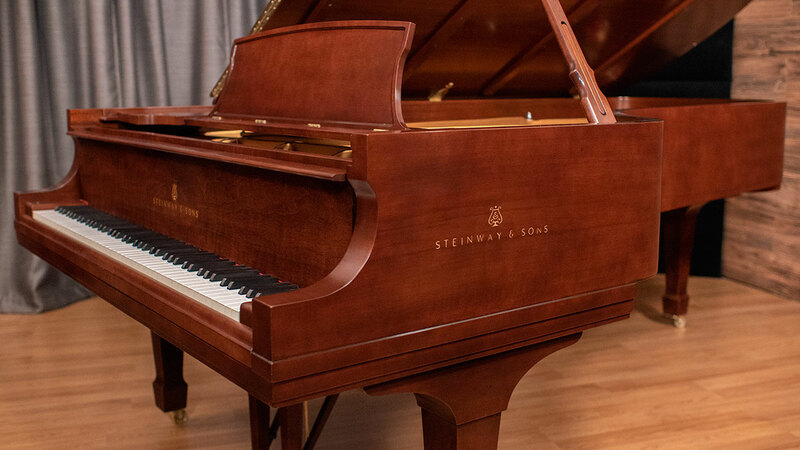 It features Steinway’s patented Accelerated Action. 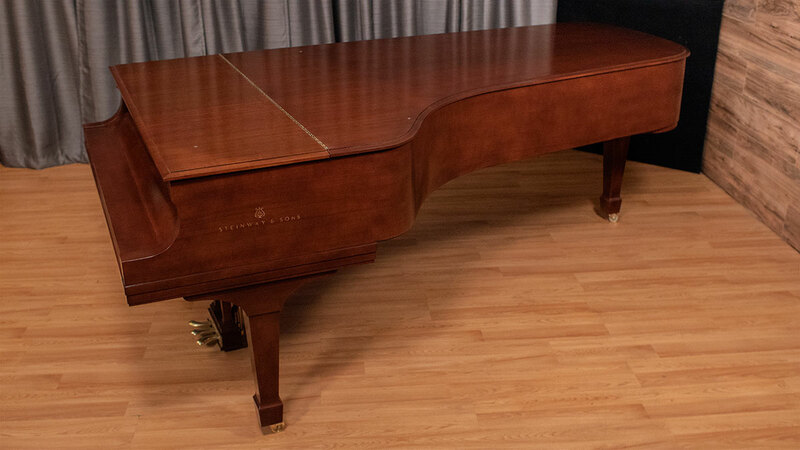 It comes with the original, matching piano bench. 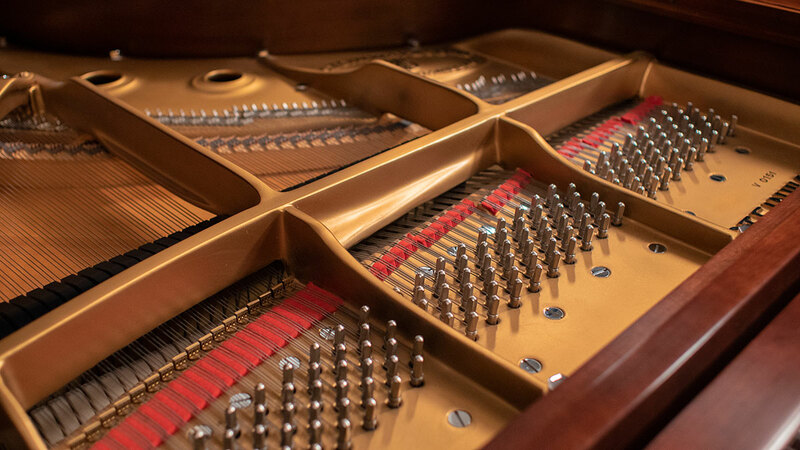 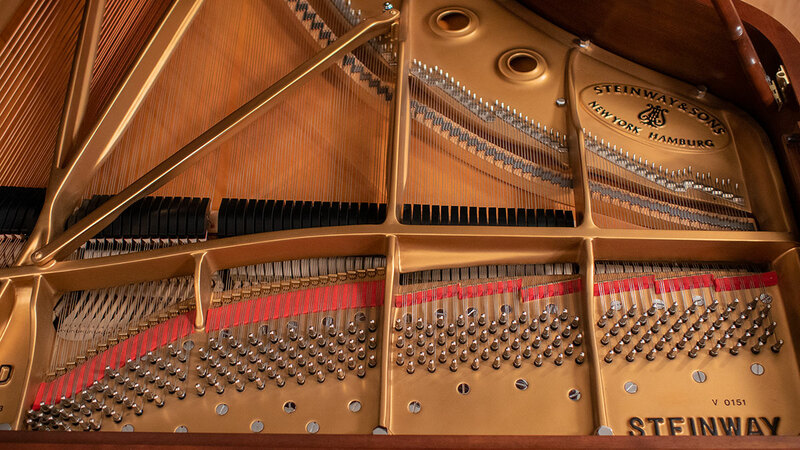 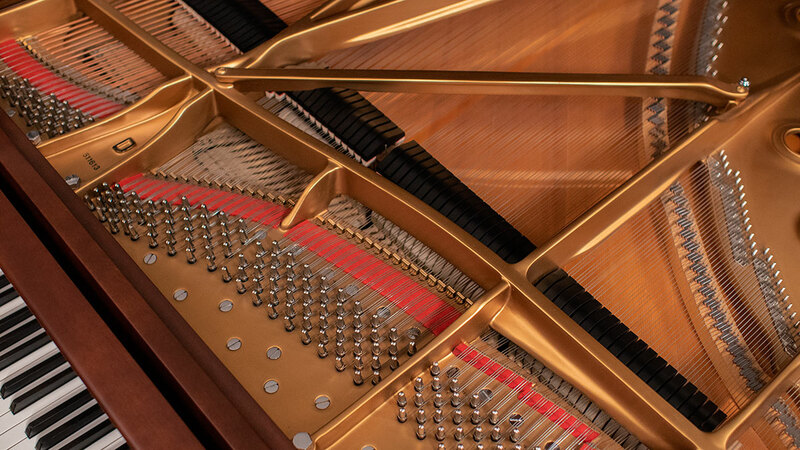 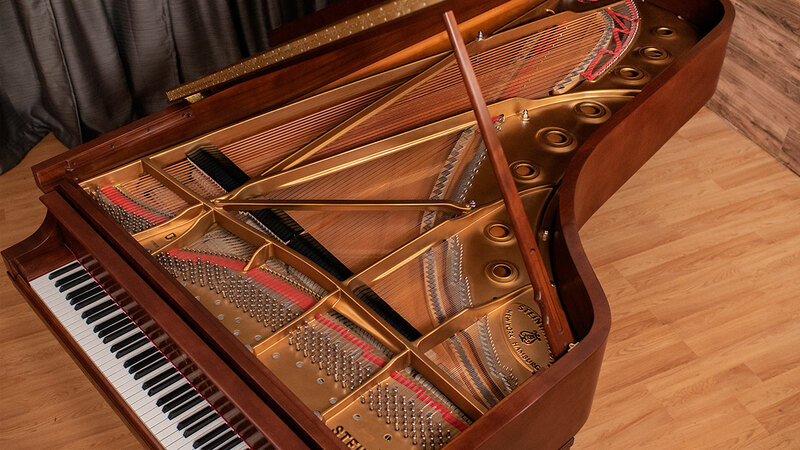 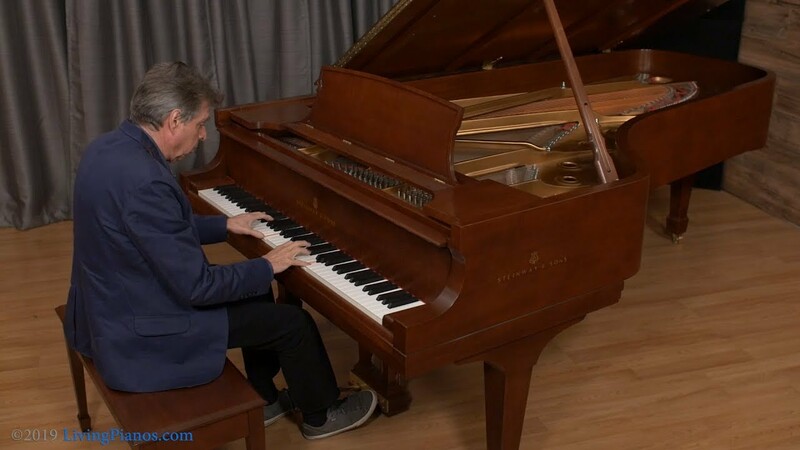 If you are looking for a Steinway concert grand piano in new condition inside and out, with rare qualities of tone and performance, this is a piano worthy of your attention.